Oddly, however, Forsyth said that the mistake lay in having given Blair an award for his global work rather than focusing on his work in Africa. Save the Children seems to have realized that it wasn’t a great public relations move to give a global legacy award to the man who many British citizens believe brought the UK into an illegal and disastrous war in Iraq, enmired the nation further in Afghanistan, and participated in the widely panned “quartet” trying to bring peace to the Middle East. What took Save so long? 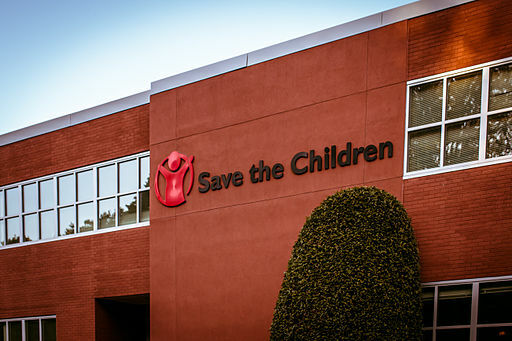 In the wake of the award to Blair, more than 100,000 people signed a petition against the Blair award, including reportedly 500 staff members of Save the Children itself. In the TV interview, Forsyth again tried to pin responsibility on the U.S. branch of Save (without mentioning that he was an intermediary between the U.S. branch and Blair for the award), but the fact that he was apologizing—sort of—made it clear that even the Blair acolytes in Save had to accept the blame. He also acknowledged that the Blair controversy had “in part” damaged Save’s reputation and image, but he asserted that the organization had doubled its impact, increased its income, and recruited 100,000 contributors despite the Blair faux pas. It doesn’t totally wash, nor does it clean the slate. Blair got the Save award in November 2014. A mid-sized city’s worth of people signed a petition to protest the award. It wasn’t just “several” Save staff who were upset by the award, but 500 staff members. It really took Forsyth and Save four months to figure out that the Blair award had been counterproductive? It is a case study of a nonprofit organization taking 109 days to walk back a mistake that it should have recognized much earlier. Though democratic yearnings may be deterred by police violence, they cannot in the long run be defeated.